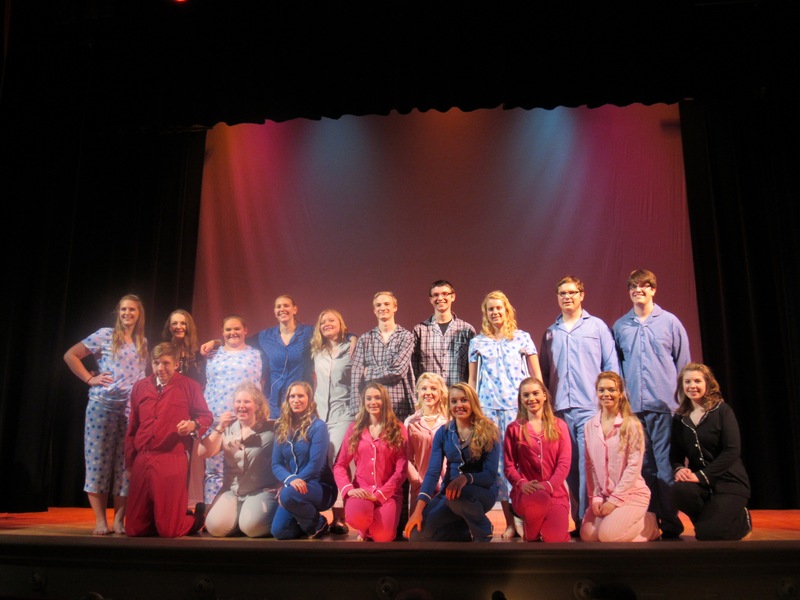 This weekend, the Mineral Point High School, presents “The Pajama Game,” at the Mineral Point Opera House, Saturday November 21 at 7 p.m. and Sunday November 22 at 2 p.m. This musical comedy from the 1950’s stars Madison Bowers in the lead role of Babe, (played by Doris Day in the movie version). There are many stand-out performances and comedic moments from this talented cast. In addition to the cast, the technical crew has been spending late nights at the Opera House getting ready for the weekend’s performances. Let’s hear it for the crew: Tess Oberhauser, Harlie Voseberg, Fulton Flanary, Grant Rose, Madisen Faull, Abby Shannon, Brady Palzkill and Maura Trimble. Come out and support the Mineral Point High School musical – Saturday night at 7 p.m. and Sunday afternoon at 2 p.m.. Tickets can be purchased at the door – $5 for students and $7 for adults. 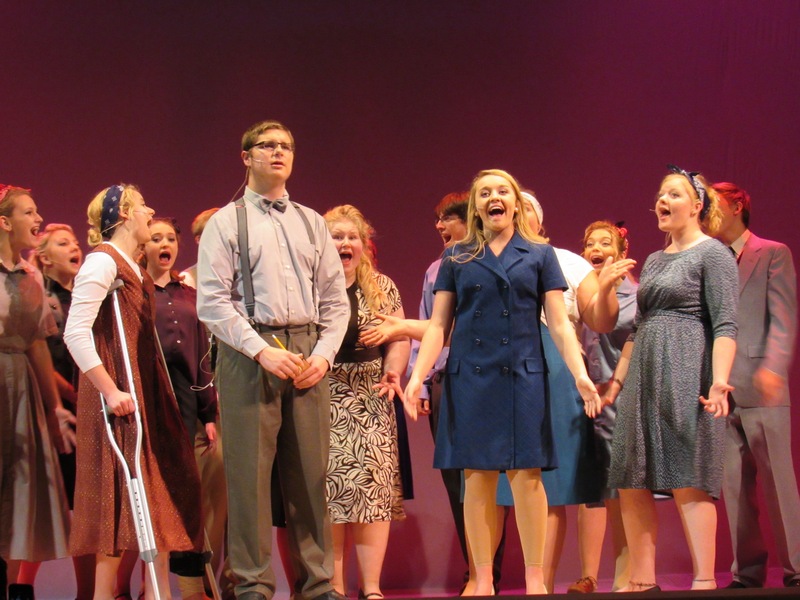 This entry was posted in Entertainment and tagged Madison Bowers, Mineral Point High School, The Pajama Game. Bookmark the permalink.